In large, complex districts, there are a lot of ways for things to go off track, so being clear about what you’re working toward is crucial. For education leaders across the country, a perpetually vexing problem is how to sustain improvement in instruction across schools over an extended period. Kara Jackson, associate professor of mathematics education at the University of Washington College of Education, notes that while there’s a wealth of research on how to improve teaching practice and student outcomes, that progress is hard to scale beyond individual classrooms or a single school. 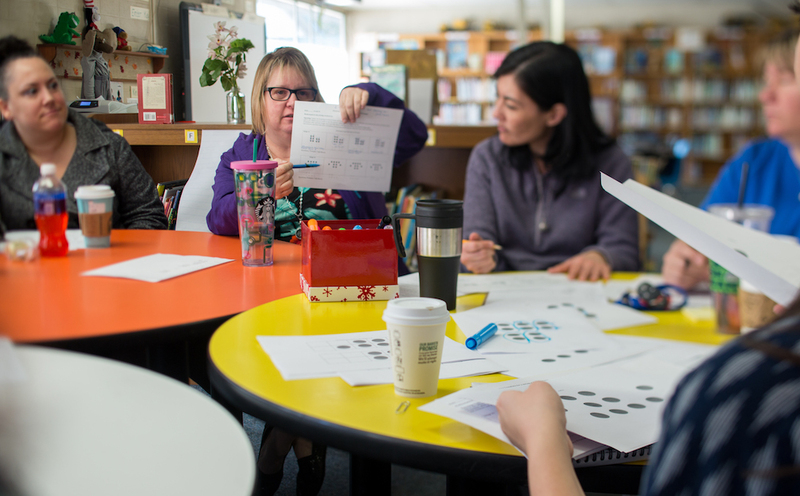 “Building and maintaining coherence between what’s happening in a classroom, what’s happening across a school and across a district is a challenge,” Jackson said. A new book co-authored by Jackson, “Systems for Instructional Improvement: Creating Coherence from the Classroom to the District Office,” draws on an eight-year research-practice partnership with four large urban districts to take on that challenge and propose recommendations for advancing instruction at scale. district instructional leadership that aims to support the development of coherent instructional systems at the school level. The book outlines the elements of a coherent instructional system and describes productive practices for school leaders in supporting teachers’ growth and the role of district leaders in developing school-level capacity for instructional improvement. In so doing, Jackson said the authors hope to help leaders enact an ambitious vision for instruction in their system. 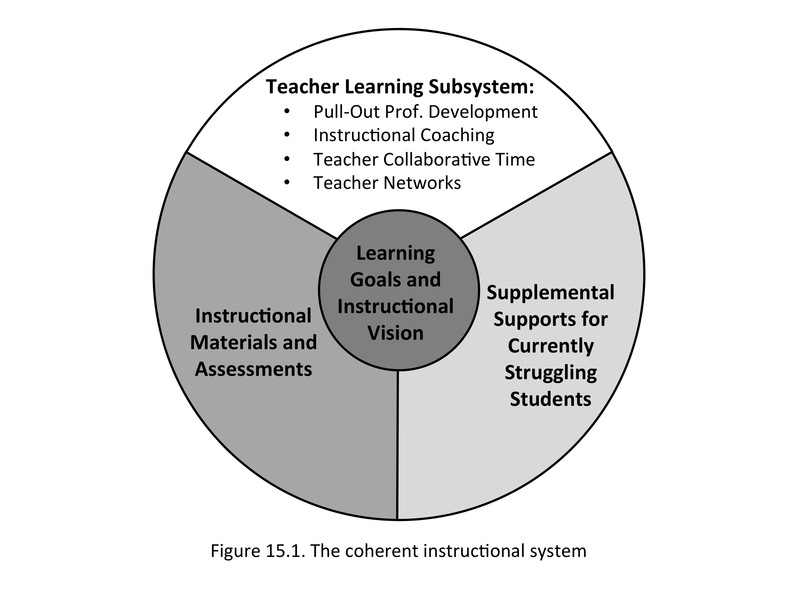 One common example of a disconnect in system-wide coherence is the case of a principal communicating instructional expectations that are not aligned with the focus of professional development teachers are provided. Another common example is providing teachers with multiple forms of professional learning (e.g., coaching, time to collaborate with their colleagues) that are not coordinated around a focused goal for improving instruction. “In large, complex districts, there are a lot of ways for things to go off track, so being clear about what you’re working toward is crucial,” Jackson said. At the school level, “principals’ expectations of teachers need to align with the professional learning opportunities teachers are provided, and that needs to be in alignment with an overall vision for instruction,” said Jackson, who is currently partnering with Federal Way Public Schools in work that grew out of the study the book draws upon. In the four partner districts, researchers found it was crucial that central office leaders across areas of responsibility (e.g., leadership, curriculum and instruction) viewed improving instruction as a matter of supporting principals’, coaches’ and teachers’ learning, and developed a shared vision encompassing how the entire system supports the improvement of instruction and student learning opportunities.